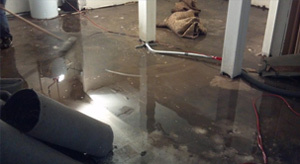 When water is coming in through your basement, call PowerMax to come and extract the water, remove carpet and padding. We provide air movers, fans, and blowers to get air circulating. We bag the carpet and padding and remove it to your tree lawn. If the carpet is not damaged, we can extract water, allow the carpet to fully dry, and then clean the carpet. We can clean up mold and mildew using pet-safe products. As a locally owned and operated business, we pride ourselves on being able to meet the needs of customers throughout Cleveland and the surrounding areas. Combining a talent for high-quality work with our commitment to excellent customer service, we’re confident that we can leave you completely satisfied. Our professionals will assess the damaged area and consult with you to determine your goals. We take into account the extent of the damage and a host of other considerations, and work to meet your goals at an affordable price. Using our extensive industry knowledge and a great selection of resources, we’ll then work to complete the project as quickly as possible.